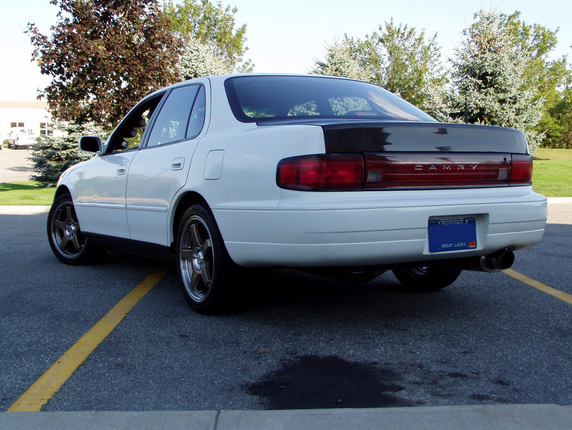 My first car when I was in high school was a 1994 Toyota Camry sedan. Most kids would probably be pretty bummed about that, but I was just stoked to have a car- let alone one that my mom bought for me. It had about 110k miles on it when I got it and was in pretty awesome shape for an eight year old car. This thing was my baby- I absolutely loved it. I couldn’t even change my own oil when I got the car, so I gradually learned what I could from message boards and my cousin, who was an engineering student. I didn’t do a lot to the car in high school- thankfully I didn’t have the cash to. 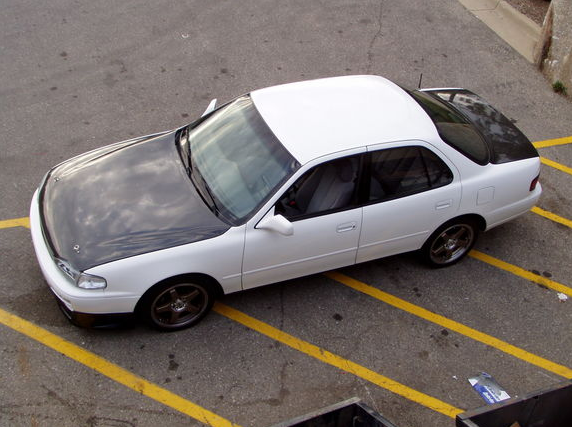 I used to make lame drawings of it with nasty body kits, aluminum spoilers, and graphics down the side- LOL. 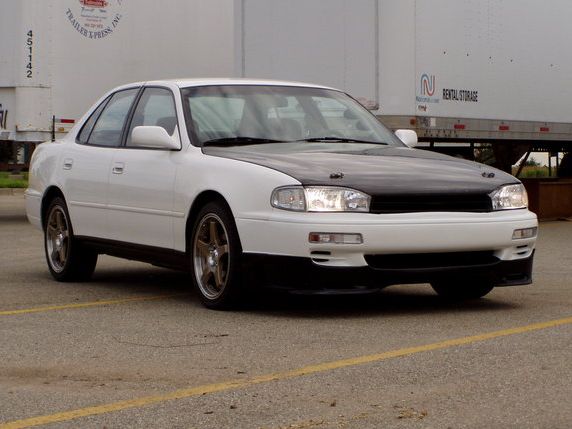 All I did in HS was clear tail lights and turn signals, shaved the front grill emblem, paint the rear trunk panel, and toss in a CD player and Vin Diesel- esque eBay glow gauges. 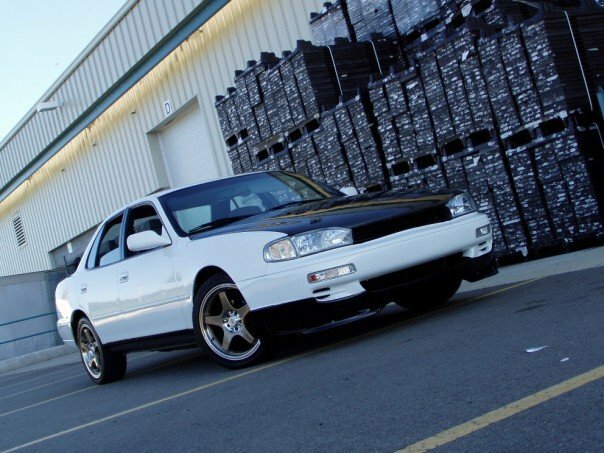 Around this time the car was known as “CamryOnSteelies” since I couldn’t afford wheels and rocked it without hub caps for some odd reason. Anyway, I progressed with the car for a few years and learned a lot as I went. I was still pretty scared to touch anything, though. I paid a shop to install lowering springs, struts, a rear sway bar, and headers with a custom catback. It sounded like total garbage, but I thought it was cool at the time, lol. I tossed in some unnecessary pillar gauges, added a front lip and 95-96 front bumper conversion, some super dope Enkei 17×7 wheels, and cf hood and trunk. The trunk was one of 14 ever made- I think I sold it for like $750 or something, haha. pre-cf hood and trunk. I think this is my favorite stage/ picture of the car. 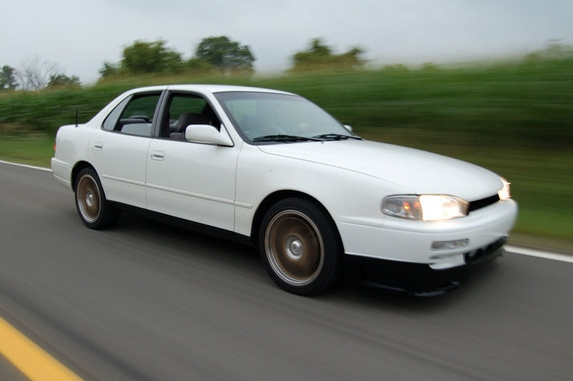 I can't believe this was lowered, lol. I took the car down to Speed Source in Illinois to have the transmission swapped to a manual in March of 2006. They basically told me that the subframe was rotting and it was not worth swapping a car with 155k miles on it that would probably not last much longer. 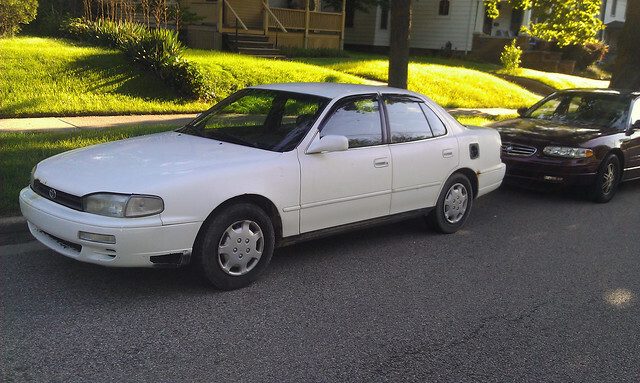 I remember being insanely bummed out about that, but I decided to just sell it and buy a new car. I ended up getting my Solara and parting out most of the modifications on the Camry, but decided to keep it as my winter beater. 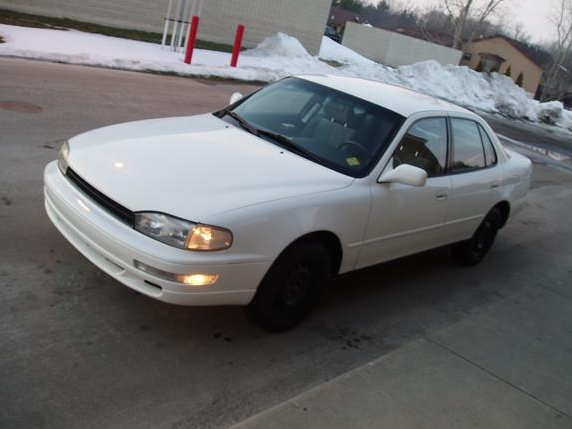 The car is still my winter ride to this day, despite the fact that it has 242k miles on it and has fallen into a state of disrepair after years of neglect. The rear trailing arm bushings are blown out, so it shakes pretty bad at freeway speeds. The knob broke for the climate control, so it is stuck on whatever the outside air is- which is very cold in the winter. 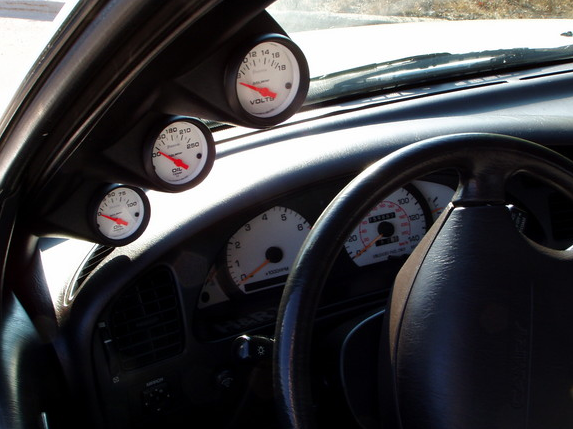 It also doesn’t like to downshift once it warms up. I’m guessing she is in the last leg of her tour of duty, but I really can’t complain… it’s been an awesome car for the almost 10 years I have owned it. we all gave our camrys a whole lotta love.